Building a corporation that connects skills and innovation, intelligence and respect to deliver a quality product is good business. We choose this industry for the opportunity to help, to learn and to connect. What a gift. All corporate personnel will have written job descriptions and standard operating procedures must be in place. Reviews, recommendations, improvements and streamlining of procedures are welcome from all staff and the corporation will provide paid time for personnel to meet regarding such. Communication between departments is encouraged to innovate and create harmony and balance throughout the entire organization. Clients are to have access to all persons within the business organization. Front line staff members will be educated to answer questions and will refer to more specialized personnel should the need arise. Within the organization all staff members will have access to all corporate personnel. It is the responsibility of the CEO and ombuds to ensure synergy among departments to greater serve clientele. Quality Assurance is vital to the safe production and distribution of quality marijuana products. Corporations are to have comprehensive and efficient Quality Management Systems (QMS) defined. Whether these practices are completed in-house or by an independent third-party assurance of Good Practices must be complete along the entire production chain from species selection to end-product sale to client. Farm and Seed Bank organizations – Good Agricultural Practices policies. Manufacturing companies – Good Manufacturing Practices policies. Labs (Research, Genetics, Testing) – Good Laboratory Practices policies. Research and Academic institutions – Good Clinical Practices policies. * Canada: storage of products until government agencies take possession for retail distribution. These policies must be reviewed and kept up to date as required by changes to the corporation. Audits must be complied with as required by regulatory agencies. Corporate Transparency has been discussed throughout the stages of production with respect to Certificates of Analysis, TVCI Organic+ Testing, Extraction Methods and Assay Descriptions. These unique documents must be made available to the client. Administration of the corporation also has it’s transparency responsibilities - and it begins with people. Everyone in the organization must be encouraged to speak their wisdom and know they will be heard. Corporations must be transparent about change - any change in the organization culture; products and prices; successes and mistakes. Smart and innovative corporations are always learning and while success stories are valuable so are mistakes. Mistakes that are acknowledged, deconstructed and corrected can ultimately lead to increased awareness and success. Corporations must be open to constructive critique internally and externally in order to create Cannabis products that deliver the highest quality ingredients and standards. And when success is achieved it is encouraged that corporations share the news - every step towards pure, holistic marijuana is call for celebration. By sharing information, networking and engaging we create an industry that is trusted and special. And that is good news for everyone. Corporations must be General Data Protection Regulation compliant. GDPR includes client consent for processing and storage of their data, the appointment of a dedicated Data Protection officer for larger corporations and following the data minimalization principle. Data that may identify an individual, be it cultural, genetic, psychological, religious and/or socioeconomic, is under GDPR protection. GDPR is the the law for EU businesses and any worldwide businesses that work with them. 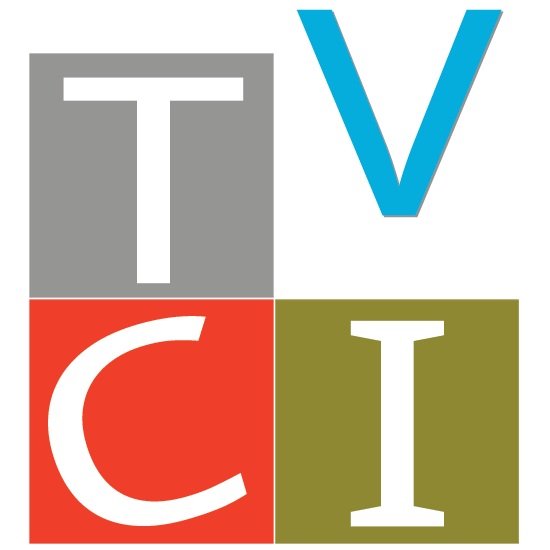 Adhering to the requirements even though a corporation is outside of the EU jurisdiction shows a commitment to transparency and is necessary for TVCI accreditation. Research and Education are ongoing endeavours that corporations must commit to. Science is ever-changing and current research may mean greater understanding, additional applications and new hope. Corporations must invest time and resources to source the original research and not simply read headlines and summaries: often these can be misconstrued. Professional conferences and access to academia, cultivators, practitioners and consumers is imperative. Education of clients about Cannabis quality is essential. Understanding the importance of all stages of production is both fascinating and complex. Clients who wish to know the intricacies of selection, cultivation, processing, formulation and utilization of your corporate Cannabis must be directed to information. Clients may be assured that a corporation displaying the TCVI logo has been accredited to the highest standards in the world for quality and purity of Cannabis. Corporations are only as compassionate as the people who inhabit them. Corporations are merely legal entities and the heart of any organization is shown by how their people treat others. We must listen, acknowledge, consider and act. Always with respect. Always with empathy. We are in this industry to illuminate the benefits of marijuana and to help people who may be experiencing difficult times. And by engaging we contribute to the collective wisdom of the world. Corporate compassion - yes it is real.